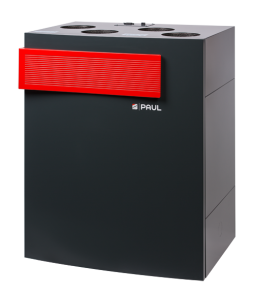 Passivhaus-certified PAUL MVHR unit for medium to large buildings. Very high performance unit, advanced very low wattage control system, with exceptional quietness. 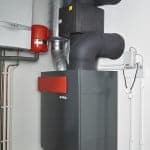 Designed to deliver between 70 to 300 m3/[email protected] Pa of ventilation. 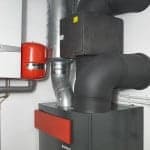 Additional surround space required for ducting connections. Variable orientation can be specified.